Preheat the oven to 350. With a small sharp knife, pierce the squash on all sides. 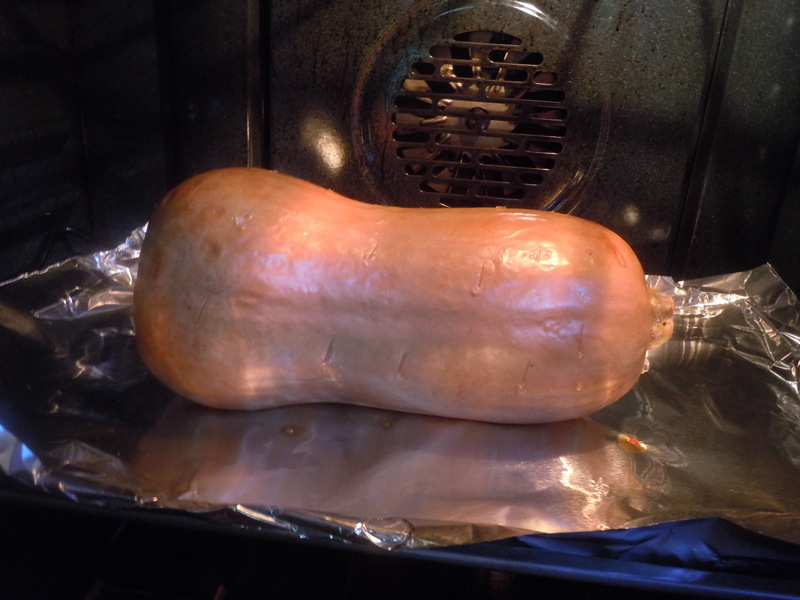 Place on a foil covered baking sheet and roast the whole squash for one hour or until it yields to gentle pressure. Cool enough to handle, then halve lengthwise. 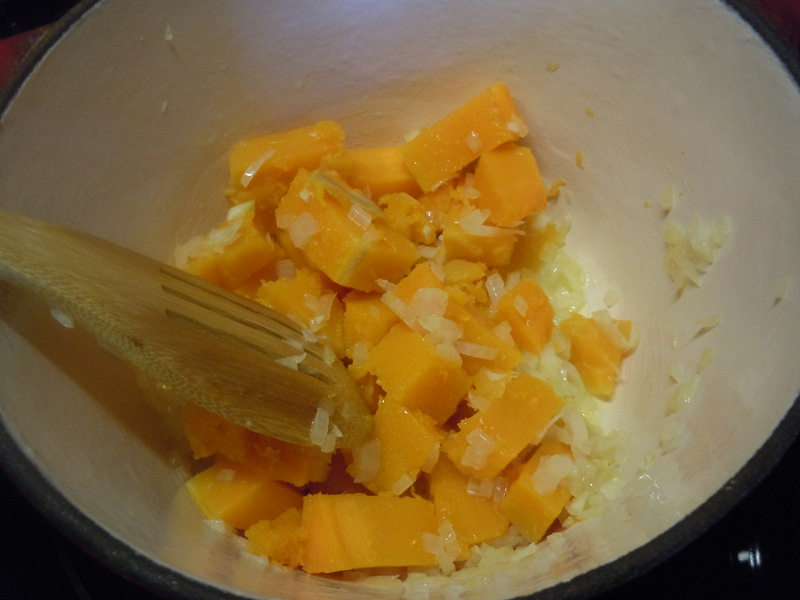 Scoop out the seeds and fibrous pulp at the base of the squash. Remove the peel and cube the squash. (it may be soft enough to simply spoon into a bowl. 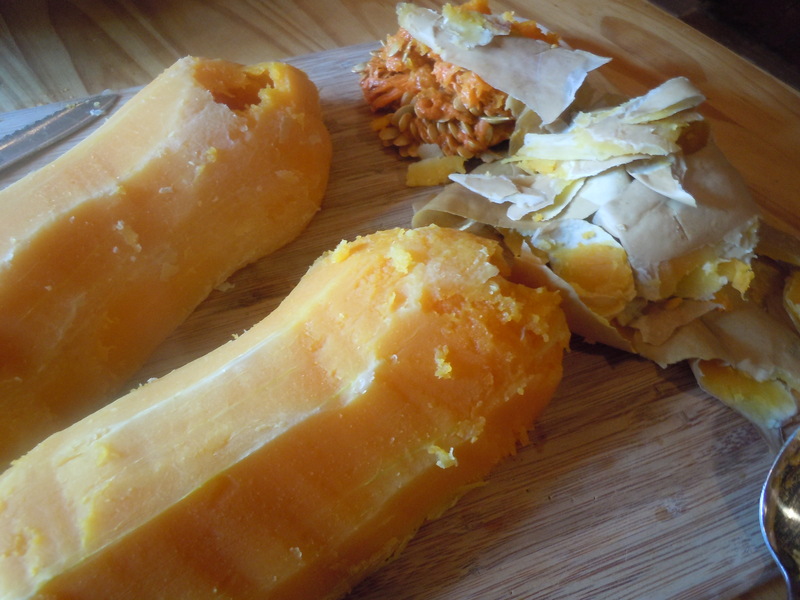 I find it easier and with much less waste to bake the whole squash, but, if you have good upper body strength and flexible wrist and hand joints you can peel and chop the raw squash. Or you can go the market and buy the squash already peeled, cubed and packaged! You’re the chef! Saute the garlic and onion in the olive oil. Add the squash. Stir in 4 cups of vegetable broth and the spices. Bring to a boil, reduce the heat and cook at a slow boil for 45 minutes. Stir occasionally to keep it from sticking. 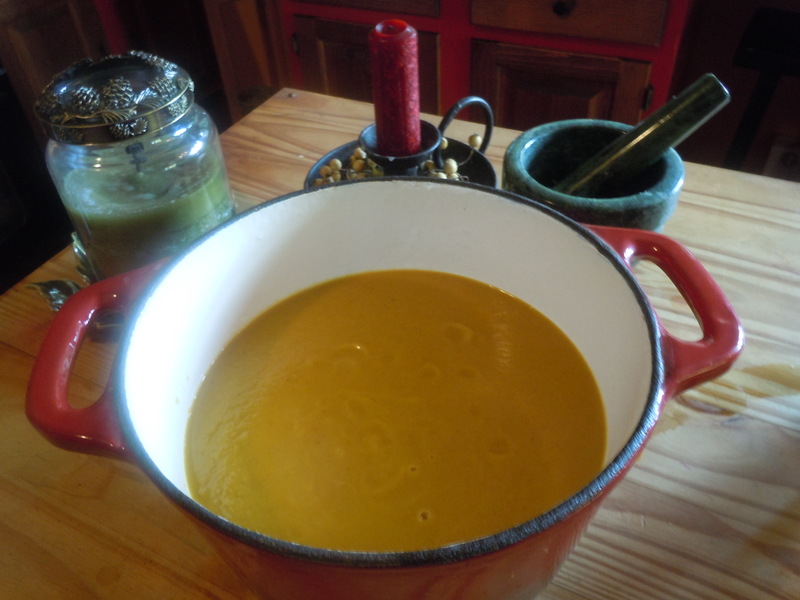 The squash should be completely cooked and dissolved and the liquid reduced a bit. Cool a bit and puree in batches. Return to the pan. Taste and adjust the seasoning, adding salt as desired. If necessary thin with additional broth or apple juice. Let sit on warm for the afternoon, reheating before serving. Or, refrigerate overnight and reheat when ready to serve.